Lucid Diagnostics, a subsidiary of medical device company PAVmed recently signed a worldwide licensing deal with Case Western Reserve University for its EsoCheck technology, a DNA biomarker test that provides a highly accurate diagnosis for Barrett’s Esophagus, a disease that is often early indicator of esophageal cancer. Under the terms of the agreement, PAVmed will commercialize the technology, which can provide doctors with a non-invasive, rapid point-of-care testing method, as opposed to an invasive diagnostic endoscopy. The technology comprises two elements: a cell-sampling device and a DNA biomarker panel for testing the cells. For the test, a patient swallows a pill-sized capsule that contains an inflatable balloon attached to a thing catheter. As the catheter is withdrawn from the patient it is swabs the targeted area of tissue for samples cells and then protects the sample form contamination. The DNA test panel contains multiple markers that are highly accurate for the detection of Barrett’s Esophagus, which is the primary precursor to esophageal adenocarcinoma (EAC) the most common and lethal form of esophageal cancer caused by Gastroesophageal Reflux Disease (GERD). Currently, EsoCheck is part of a large, multicenter study by the NIH that is enrolling patients at Case Western and other academic medical centers including the Cleveland Clinic, Johns Hopkins, Mayo Clinic, Washington University St. Louis and the University of North Carolina. 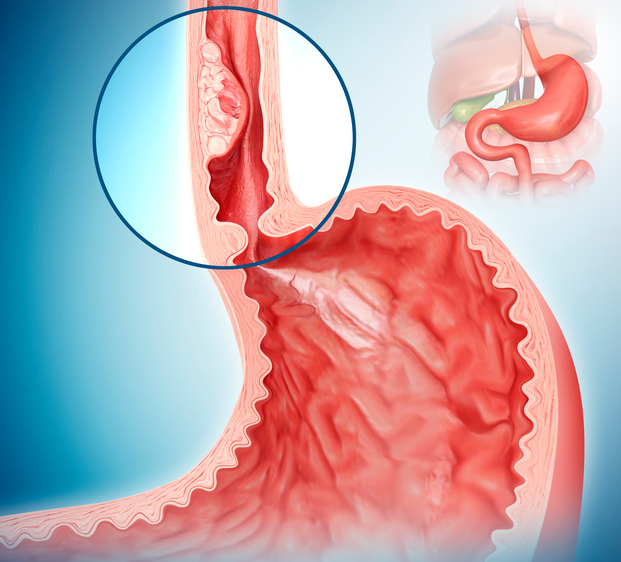 According to Amitabh Chak, M.D., professor of medicine at Case Western University School of Medicine, and co-inventor of EsoCheck, the study will look to establish the clinical evidence needed to bring the test to the more than 50 million people in the United States alone who suffer from acid reflux and hence an increased risk of developing EAC. In previous research, published in Science Translational Medicine, a multicenter clinical study of 408 patients showed that the EsoCheck cell-sampling device and DNA biomarker test was over 90% sensitive and specific at detecting Barrett’s Esophagus, and equivalent to endoscopic sampling. Case Western Reserve University and its faculty inventors have received a minority equity interest in Lucid Diagnostics, with PAVmed retaining an approximately 82% equity interest. The agreement also contains regulatory and commercial milestones, with Case Western receiving royalties and a portion of any additional proceeds derived from the test.